Do Nurses Have To Be On Call? Long shifts, overnights, and demanding workloads are all a part of being a nurse. When you decided to enter the nursing field, you were aware of many of the challenges, but you dredged forward anyway, knowing your calling is to help people, to care for those who can’t care for themselves. As a nurse, your time away from work is crucial. Your mind gets a break from constantly being alert to different noises, tasks, and patient needs. Time off gives you the opportunity to enjoy time with family and grab some much-needed sleep…until the phone rings. Being on-call as a nurse often means work is on your mind, even when you’re not at work. You may not necessarily be in the clinic, but the on call schedule means you can’t travel out of town, make definite plans, or partake in happy hour. The pay nurses receive during on call hours (when not at the hospital or clinic) has long been criticized. Some nurses report being paid $2 an hour for the time they’re not at the hospital, and even when the pay is more, many facilities don’t pay any more than $4-$6 an hour for nurses to be on call through the night or over the weekend. When nurses are called in to work during that time frame, pay ranges from normal hourly wages to time-and-a-half, to mimic overtime compensation. Before you commit to an organization it’s best to ask their on call policies, mandates, and pay. Lastly, when called in to work, many organizations still require nurses to work their regular shifts. Which means you could get a 2 a.m. phone call pulling you into the hospital and still work your full shift the following day. Working on call as a nurse does come with a number of challenges, but it doesn’t have to stop you from succeeding in a career you love. Keep these tips in mind as you adjust to or create a better way to handle a nurse’s on call schedule. You’re on call, not at work. Learn to regulate your text messages, phone calls, and emails from colleagues. If coworkers or even managers are constantly contacting you for reasons other than to request you come in, it’s time for a conversation about work limits. Ask management for a clear “call” procedure. 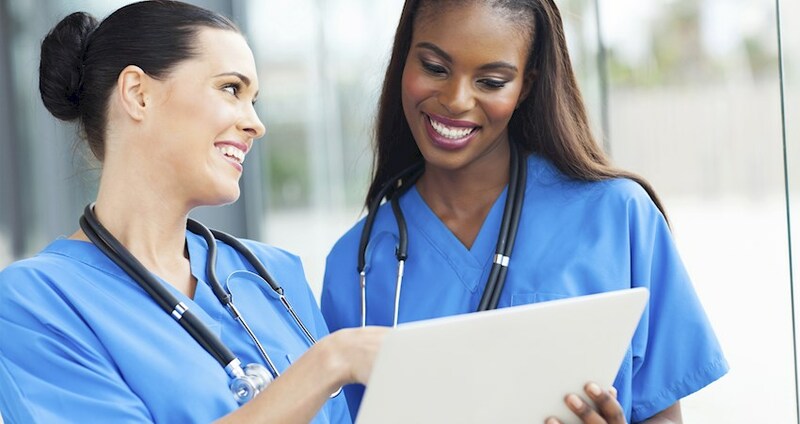 When it’s clearly documented when the on call nurse should be called in, the unit will learn to work through situations without contacting you and you’ll get to enjoy more time with family – less time fielding questions. Protect your off time. If you are not on call – only severe emergencies should actually warrant a call. Don’t fall into the trap of saying “yes” anytime a shift needs to be covered. You need time to heal, too. Defend your personal time and enjoy your off days. Depending on your employer, on call schedules may be mandated, but they are manageable. Use our tips to keep a good work-life balance and still benefit from a fulfilling career.